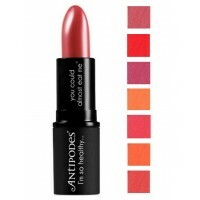 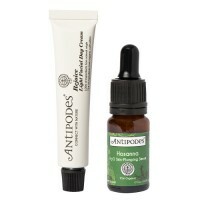 Antipodes Moisture Boost Minis is a duo of best-loved Antipodes moisturising products now available in mini sizes will help more women discover the benefits of fresh, moisturised and hydrated skin. 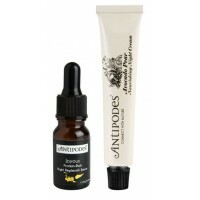 Suited to most skin conditions, especially dry and combination. 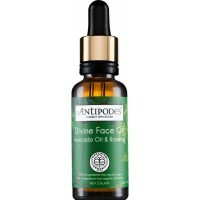 How to use: Step One: Apply certified organic and vegetarian approved Divine Face Oil from its new mini 10ml glass bottle. 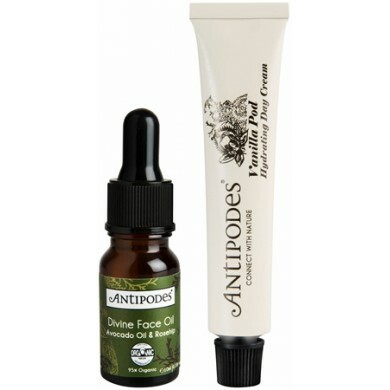 Scientifically shown to stimulate Type 1 collagen in human fibroblast skin cells by up to 51%*, it features nutrient-rich avocado oil with vitamins A, B1, B2 and D as well as antioxidants to help defend skin from environmental damage. 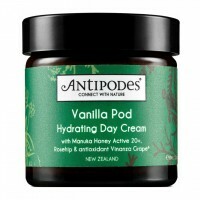 Step Two: Maximise hydration applying Vanilla Pod Hydrating Day Cream from its new mini 15ml aluminium tube. 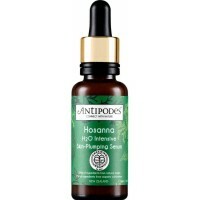 This light yet intensive aqueous formulation features world-famous antibacterial manuka honey Active 20+, making it a wonder cream that actually helps ward off blemishes. 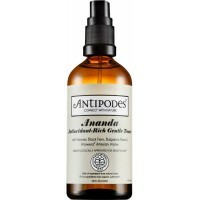 It also captures the anti-ageing benefits of Vinanza Grape, Antipodes revolutionary antioxidant from award-winning Marlborough sauvignon blanc grape seeds.